Fortunately the situation has been steadily — if slowly — improving, and it’s no longer quite so remarkable to see black characters on mainstream covers. Recent examples we’ve featured include Claire O’Dell’s A Study in Honor, and The High Ground by Melinda Snodgrass. 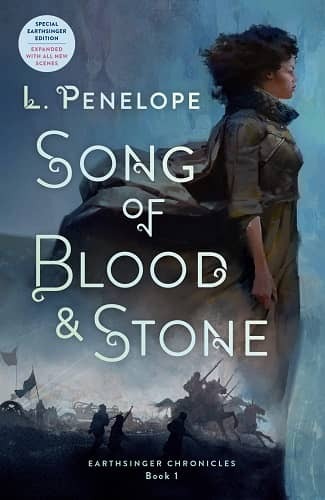 But I can’t recall seeing a mainstream fantasy cover as black and as beautiful as Song of Blood & Stone by L. Penelope, which I think is one of the most gorgeous covers of the year. Publishers! More like this, please. Song of Blood & Stone, Penelope’s debut novel, was self-published in 2015 through her Heartspell Media company (which designed the cover); it won the 2016 Self-Publishing eBook Award from the Black Caucus of the American Library Association and was soon picked up by St. Martin’s Press, which republished it in hardcover in May of this year (with the same cover). The B&N Sci-Fi and Fantasy Blog listed it as part of the Best Science Fiction & Fantasy of May. 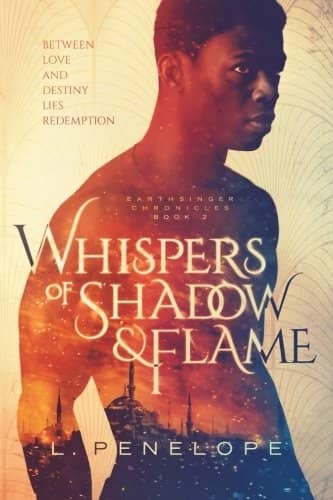 According to Penelope’s website St. Martin’s will be republishing the entire Earthsinger Chronicles, including Whispers of Shadow and Flame (released by Heartspell in 2015 and now out of print), and the forthcoming Breath of Dust & Dawn (due Winter 2019). Song of Blood and Stone will also be reprinted in an expanded trade paperback next July with a brand new cover (above right). 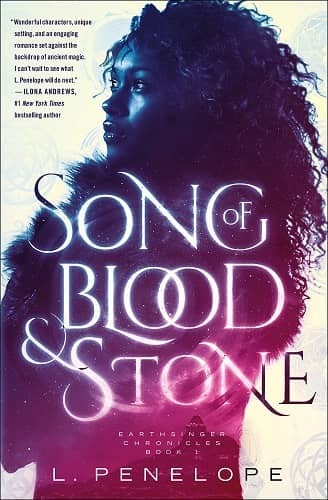 Here’s the description for Song of Blood & Stone. Orphaned and alone, Jasminda lives in a land where cold whispers of invasion and war linger on the wind. Jasminda herself is an outcast in her homeland of Elsira, where her gift of Earthsong is feared. When ruthless soldiers seek refuge in her isolated cabin, they bring with them a captive — an injured spy who threatens to steal her heart. And for Whispers of Shadow & Flame. 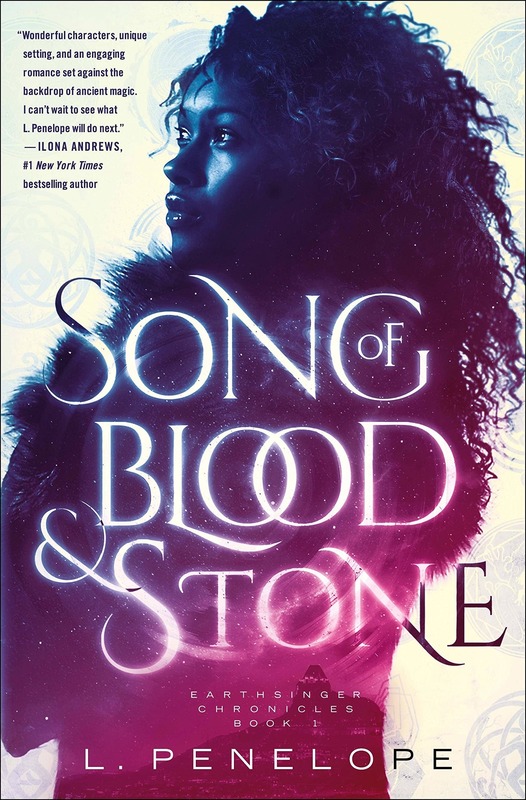 Song of Blood & Stone was published by St. Martin’s Press on May 1, 2018. It is 372 pages, priced at $26.99 in hardcover and $13.99 for the digital edition. The cover was designed by Bookfly design, with images by Shutterstock. I received my copy in the free book bag at the World Fantasy Convention (technically, it was in Howard Andrew Jones’ bag, but I stole it fair and square).